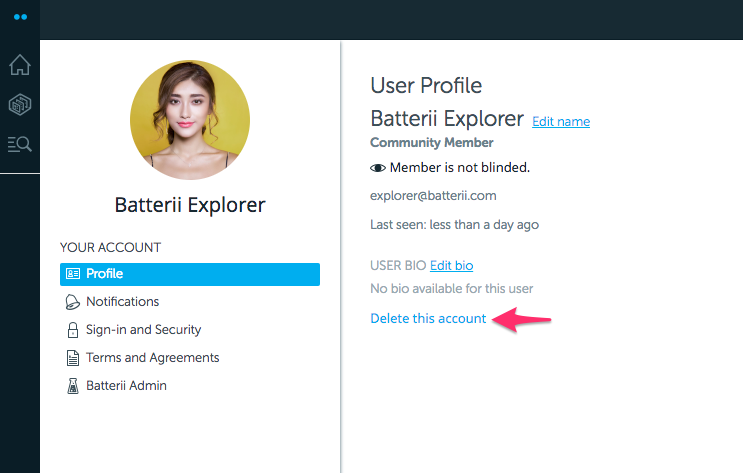 Batterii users have the ability to delete their own accounts. Plus, the user data associated with it. 1. 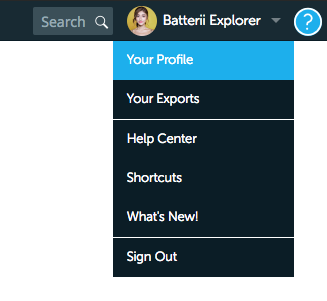 Click your name in the top right corner of your screen to populate the drop down menu and select "Your Profile." 2. From your profile, click "Delete this account." 3. You will then see a cautionary message. Click "Continue" after reading and comprehending the message. 4. 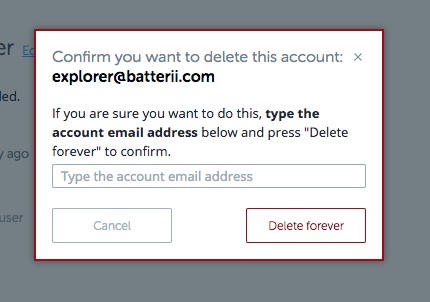 Type in your email address to confirm you want to delete your Batterii account forever without the ability to recover it. 1. Click the "Account" button in the bottom right corner. 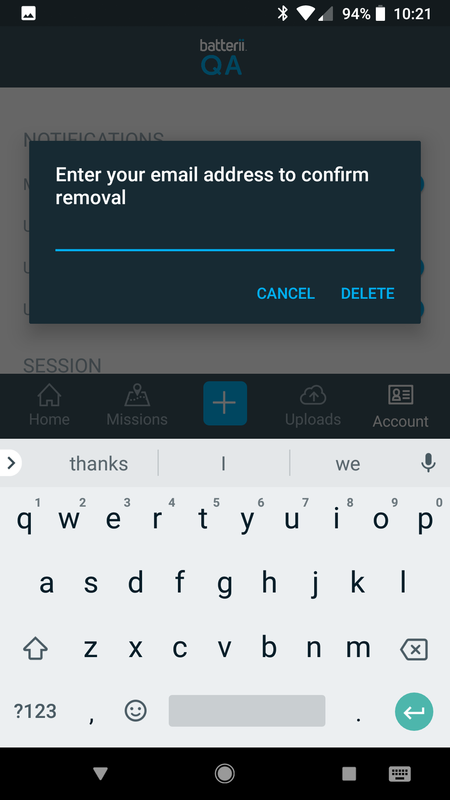 Then select "Delete my account" near the bottom of your screen. 2. You will then see a cautionary message. Click "I understand" after reading and comprehending the message. 3. 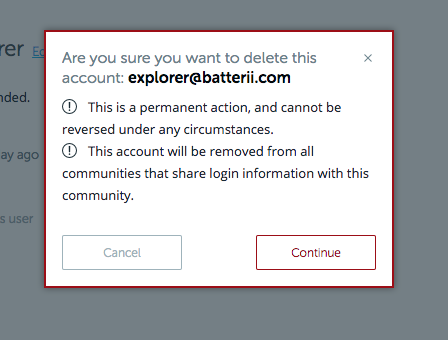 Type in your email address to confirm you want to delete your Batterii account forever without the ability to recover it. 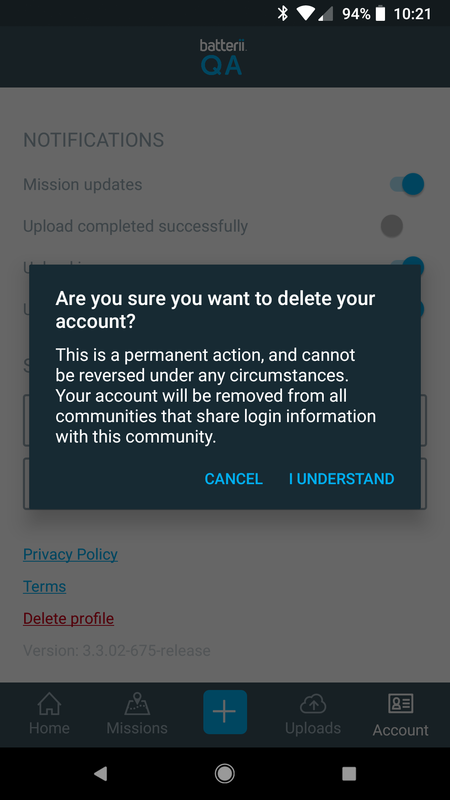 Click the "Account" button in the bottom right corner. 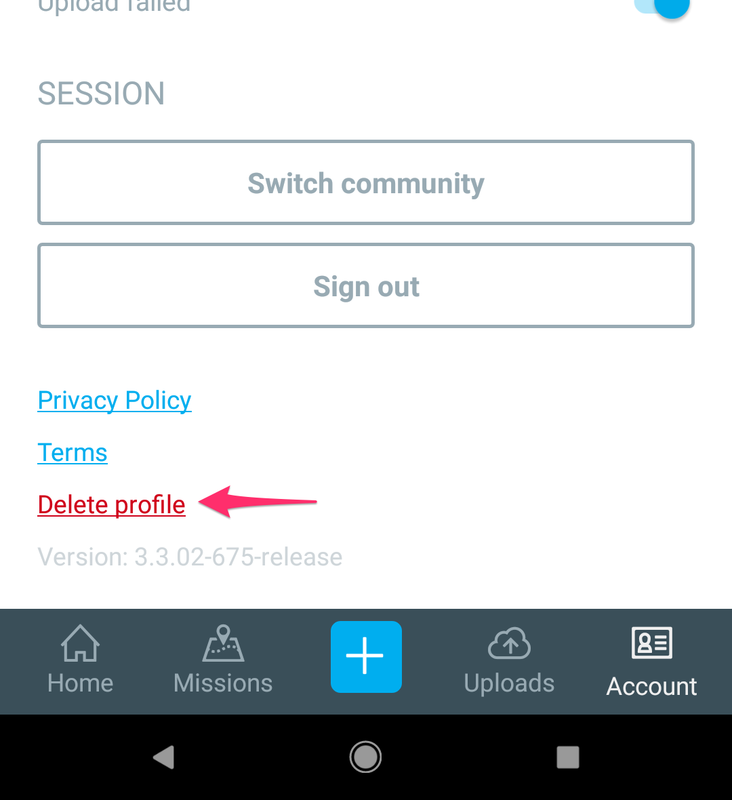 Then select "Delete profile" near the bottom of your screen.